"Jeff, I cannot put into words about what a phenomenal job you did. You captured moments that I did not think about or knew that I/we were doing such as from the quick glance that we gave each other when we were officially announced as husband and wife to the romantic dance towards the end of the reception (we were in our own zone). I was extremely happy with the full video but the highlight video just took my breath away you captured every detail from the initial walk in to the venue all the way to the last pic of the night. I was in tears on how it was all pulled together. You were professional from the very 1st time we met all the way until the product was delivered. Again thank you, you are truly talented!!!" "We finally had a chance to sit down and watch the video. We were so excited to see everything!! You did a wonderful job! =) Thanks again for everything, we really have enjoyed the montages and the entire video. I am so glad we decided to have a videographer (at one point we had decided not to)." 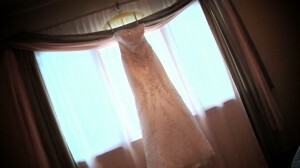 "Brad and I want to thank you for the wonderful job you did on our wedding video. Everything turned out beautifully, and it was so much fun to see and experience the day again! Thank you for the time you took to make everything perfect!" "Jeff, the video is great!! My family was very much impressed. The duration of the montage was perfect to show a peek preview of what's to come… The main video was very nice and you highlighted a lot of moments I probably wouldn't have thought of. Thanks for doing my video." "Jeff, Rocco and I received the wedding video yesterday and of course watched the whole thing already. It is just beautiful and was worth the wait. You are very talented. Thank you!" "Jeff, Thank you for capturing our wedding day in such a personal way. You delivered exactly what we asked for and contributed to making our day beautiful! We have footage for a lifetime. " "Jeff, Thank you so much for your hard work on our wedding video. It was absolutely beautiful. I am so glad that I have this keepsake. And we loved the Simpson part too. It was definitely appropriate for us. Thanks again!" Eileen, Mark, & Carlo D.
"Jeff, I just want to thank you so much for making Mike's first Father's Day so memorable! The DVD montage you made was so great, I actually got some tears out of him! He watched it three times, and showed it to his entire family! And he's watched it at least once a day since Sunday. I cannot thank you enough for making such a wonderful DVD for us! Your talent really shows throughout it, and the attention to detail you give to your work is very apparent. Thank you for all you hard work!"